Mugsy's Rap Sheet » Who Is Helping North Korea’s Lightning-Fast Evolving Nuclear Missile Program? On New Years Eve, just before Trump took office, Kim Jong Un promised they were preparing to conduct their first test of an ICBM. Sounding an awful lot like that “Red Line” Trump blasted Obama for, Trump tweeted the next day, “It won’t happen!” It did. Just three weeks after Trump’s inauguration, North Korea test-fired a “Ballistic missile”… a modified version of their existing “Musudan” intermediate range missile, that landed unspectacularly 310 miles away into the Sea of Japan between the two countries. Three weeks later, North Korea launched four more missiles all at once, again into the Sea of Japan. A fifth test two few weeks after that the rocket exploded seconds after launch. They were trying, but not making a lot of progress. Three more launches in April, the first flying a mere 37 miles before falling back to Earth, and the next two exploding shortly after launch. One test in June, two more successful tests in July, and two more in August. Of the August tests, the second flying over Japan… the first time since 2009. The big difference this time was that they did not warn Japan in advance before firing a rocket over their heads. Fortunately, this rocket broke up just over halfway into it’s 4,000KM flight, raining debris in the Pacific just off the East coast of Japan. But in all of this, it was understood that an “Atomic” warhead… the pinnacle of their nuclear weapons development after over 20 years… would be just too big & too heavy to mount atop one of their notoriously unreliable missiles (who would put an atomic bomb atop a missile that might only travel 37 miles?) Even once they developed their first ICBM (the one Trump said would “never happen”… until it did five months later), it was understood they could not be armed with nuclear warheads due to size & weight… at least “not for another year” they were claiming barely a month ago. And now, early Sunday morning, just four days since their test launch of an ICBM and their first test East of Japan since 2009, Japan detects the test of a Hydrogen bomb in Northern North Korea… which is significantly smaller/lighter… yet 10 times more powerful… than the old technology Atomic bombs they were previously capable of building. 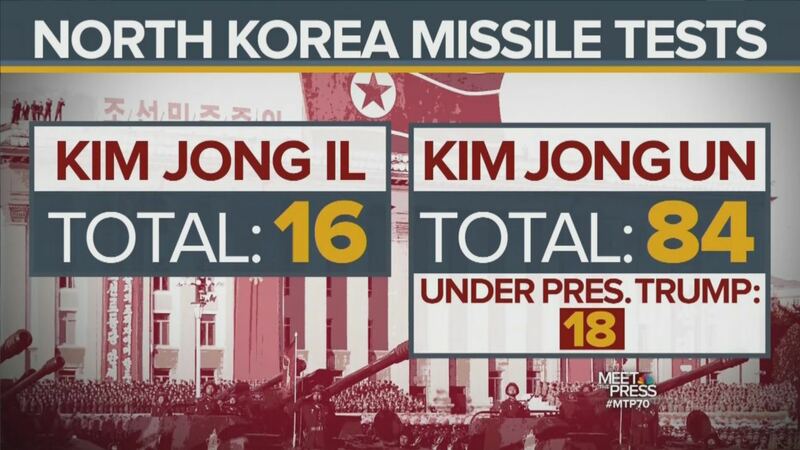 So now, in less than seven months time, North Korea has gone from short-range missiles that frequently exploded after launch, to ICBM’s capable of reaching the U.S., and from bulky/undeliverable “atomic” bombs to compact, massively more powerful hydrogen bombs that can be used as a nuclear warhead. No offense, but North Korea isn’t exactly known for their technical prowess. Someone HAS to be helping them. And who might that be? There are only three “possible” candidates, all allies of North Korea and antagonistic towards the United States, and two of those can easily be scratched off the list. The three candidates are China, Iran and Russia. Why would China wish to encourage nuclear war right on their doorstep between the United States and their ally North Korea? The United States’ firepower is so vastly superior to NK, they wouldn’t stand a chance even in a Conventional war let alone a nuclear one. America is also perhaps China’s biggest trading partner. An attack on the United States would almost certainly disrupt trade with China. Not to mention the fact that as an ally of North Korea, China would be drawn into a disastrous war with the United States. The very idea that China would want to provoke all that in their own backyard is nonsensical. Iran is possibility #2. But to guide someone else on how to develop ICBM’s and hydrogen bombs, you first need to have already developed YOUR OWN “ICBM’s and hydrogen bombs”. Iran has neither. Scratch them off the list. North Korea’s Nuclear Weapons program is accelerating at an astonishing rate… so fast it’s almost impossible to believe they are doing it all on their own. And if you want to know just who that is, one need only think of a country with the know-how, is friends with North Korea, and has the most to gain (and least to lose) from an America in chaos. And suddenly the answer is quite clear. Having an unstable man-child, susceptible to blackmail and deep in debt to them, yet constantly speaks fondly of them, only makes such gamesmanship less risky for them and easier to pursue.